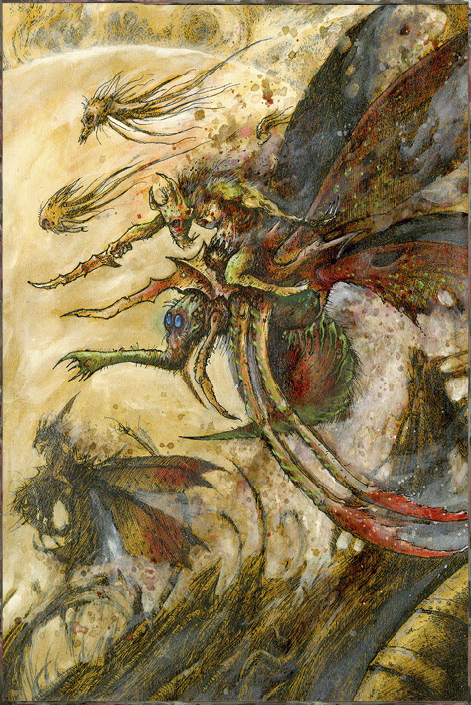 This is the second Codex: Chaos Daemons published. It follows Codex: Chaos Daemons (2008) and is succeeded by Codex: Chaos Daemons - Daemonic Incursion Edition (2016). 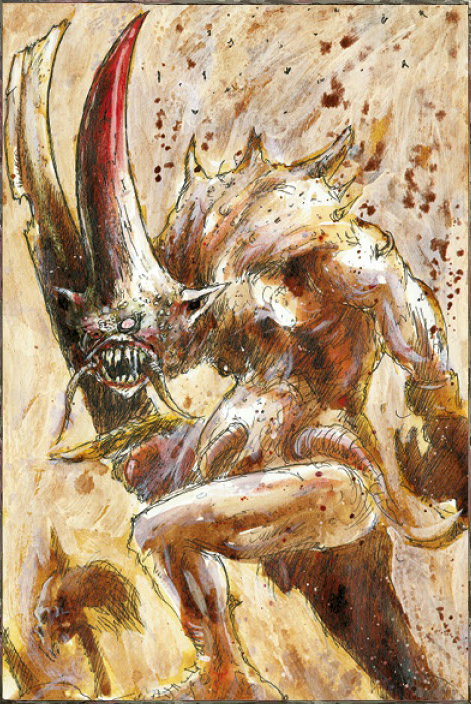 Ku'gath was once a lowly Nurgling, a mite who sat upon the great shoulders of Nurgle himself. 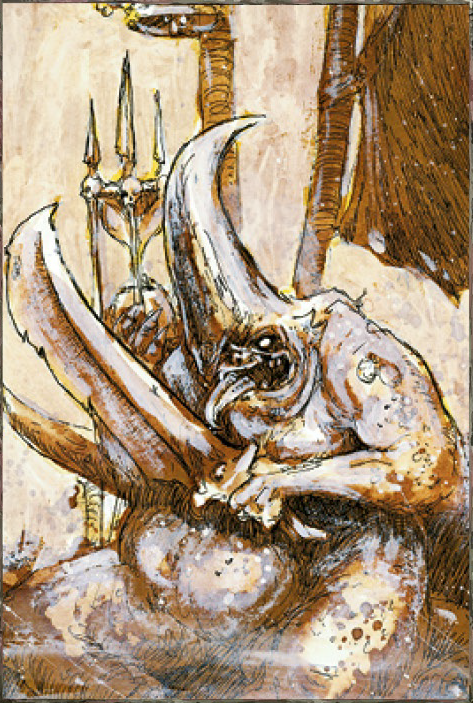 Whilst the Lord of Decay mixed his most virulent toxin ever, Ku'gath tumbled from his nesting place into the cauldron. Ku'gath took a great draught of the contents of that rusted bowl and swelled with its power. Invigorated, he drank and drank until the cauldron was empty. He bloated with corrupting decay, and grew into a mighty Great Unclean One. 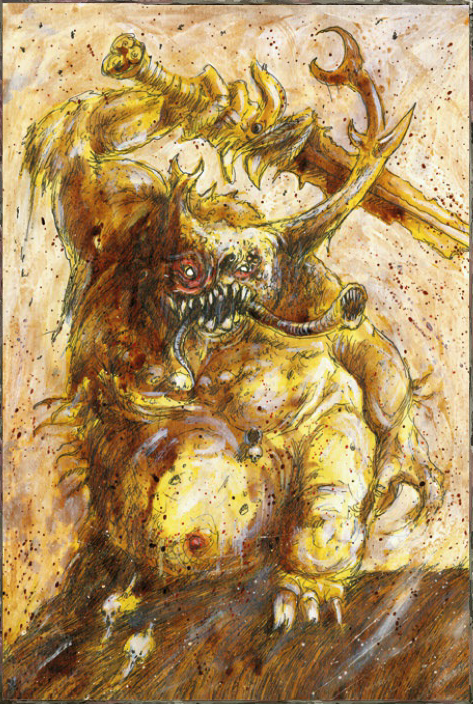 Nurgle laughed at the antics of his new creation, which had become the embodiment of the perfect disease that had bubbled in the Cauldron of Poxes. Though Nurgle was unperturbed by the turn of events, Ku'gath realised he had robbed his father of the greatest of all diseases, a contagion that might have even eclipsed the blighted wonders of Nurgle's Rot. Ever since, Ku'gath has sought to recreate the toxic miracle that created him. The Plaguefather is a sombre creature, standing apart from his fellow Greater Daemons. Not for Ku'gath the gurgling delights of lesser infections: he diligently toils in his self-imposed quest, and his studies require that he travels widely, seeking every putrid ingredient and rare sickness imaginable. 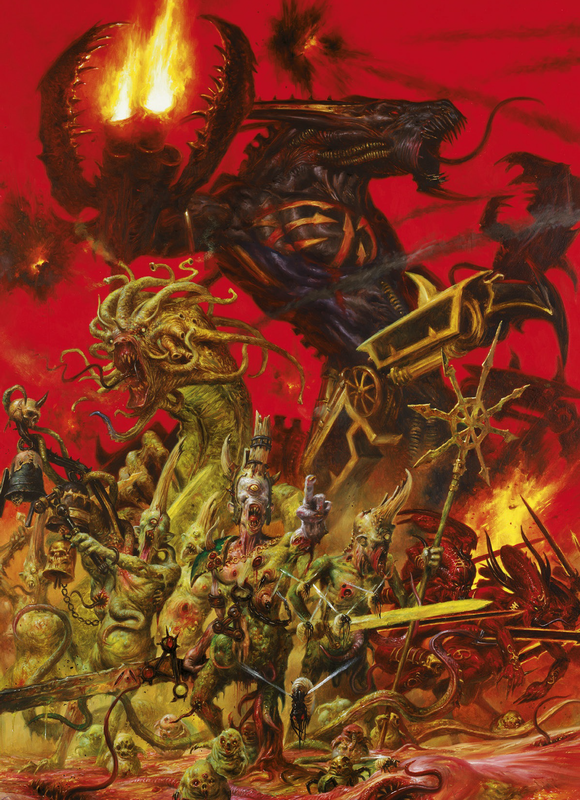 Ku'gath is the most eager of Nurgle's Daemons to enter the mortal realms, for he finds the countless war zones ideal places to acquire new experimental subjects and conduct his latest field tests. Atop a palanquin loaded with the paraphernalia of a mobile laboratory, Ku'gath is carried across the universes by a mound of straining Nurglings as he searches for the elusive combination of blights and woes that will recreate the perfect disease. The carpet of over-laden Nurglings is constantly replenished, for Ku'gath's rotten innards produce the impish creatures at an epidemic rate. 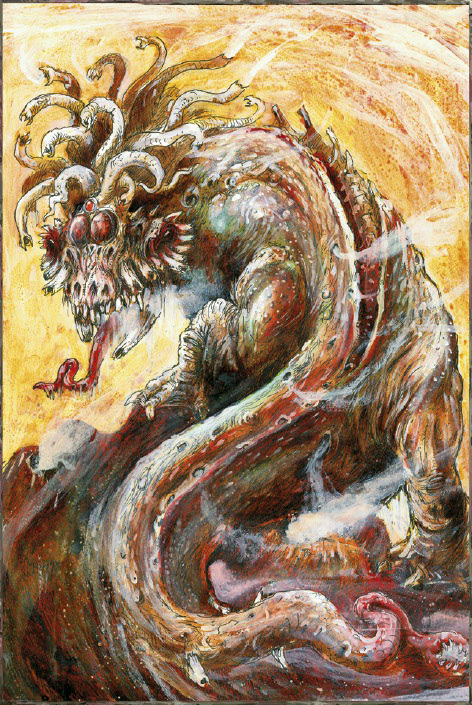 Each one carries a unique blend of the elements that created the Plaguefather, and in battle, Ku'gath picks them up, pausing only to pat them on the head before dunking them in a vat of bubbling, necrotic liquid and hurling them at his enemies. 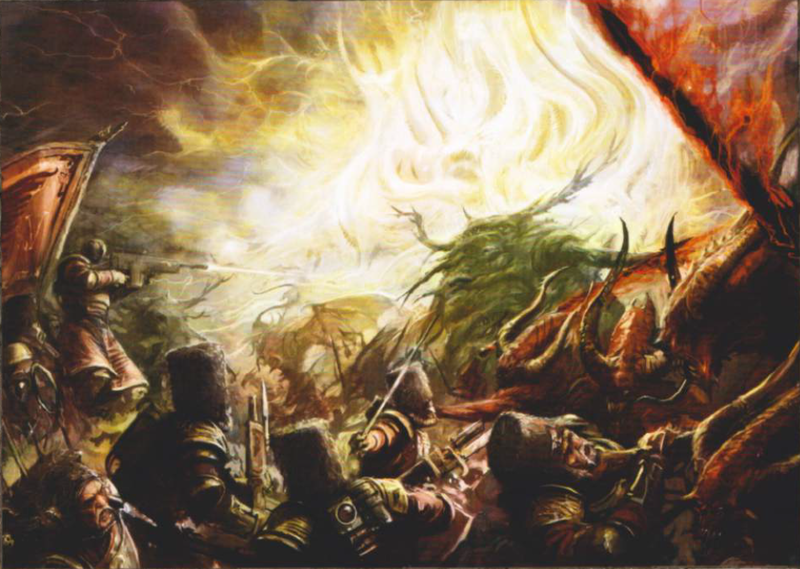 The Nurglings squeal with delight as they fly through the air, bursting upon impact and showering the enemy with acidic juices and plague-saturated filth. Ku'gath watches with detached interest, noting only how each particular infection manifests and spreads, his mind already thinking of how to improve the potency of his next concoction. Warlord Trait: Immortal Commander (pg 26). 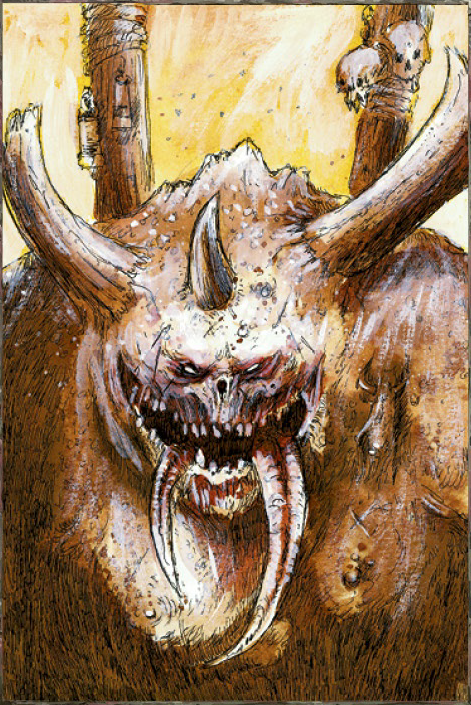 Special Rules: Daemon of Nurgle (pg 26), Daemonic Instability (pg 26), Deep Strike, Poisoned (4+), Psyker (Mastery Level 1), Slime Trail (pg 48), Very Bulky. Nurgling Infestation: At the start of each of your turns, one Nurgling swarm within 6" of Ku'gath automatically regains a single Wound lost earlier in the battle. Psyker: Ku'gath Plaguefather generates his powers from the Plague discipline. 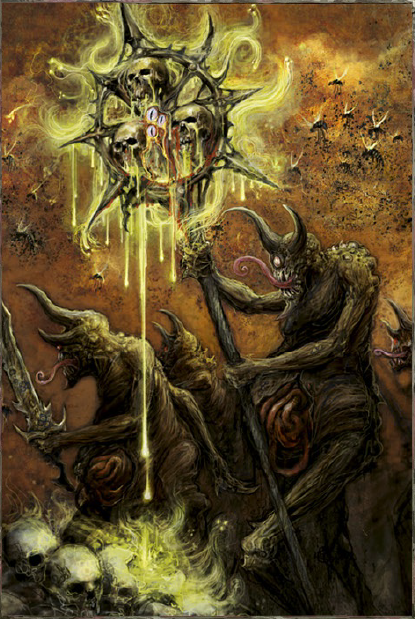 Necrotic Missiles: Ku'gath can scoop up and hurl vast handfuls of plague-ridden Nurglings at the enemy. The psyker's maw distends wide before spewing forth a noxious stream of disease and filth that chokes and suffocates his foes. The Daemon belches forth a wind of plague that chokes his foes. 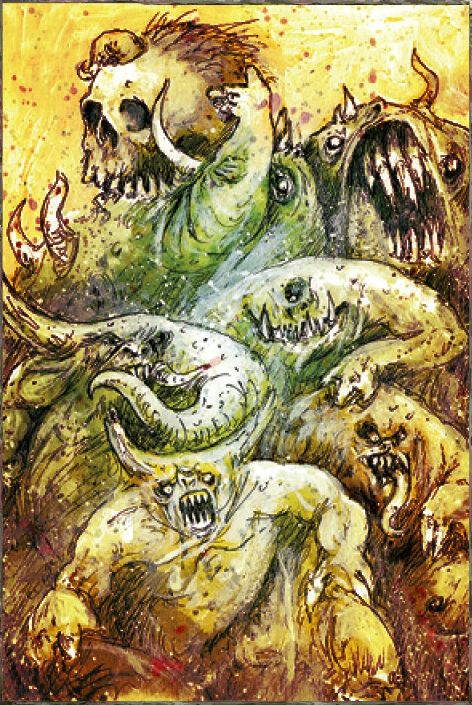 The Daemonic followers of Nurgle use their Warp gifts to surround themselves with ghastly, vomit-inducing odours that cripple all nearby foes. Miasma of Pestilence is a blessing that targets the Psyker. At the start of each Fight sub-phase whilst this power is in effect, roll a D3. Until the end of the phase, all enemy units locked in close combat with the target, or his unit, suffer penalties to both Weapon Skill and Initiative equal to the result. As the psyker reaches out a clawed hand and laughs, his enemies are seized in the throes of a terribly contagious infection that blackens their flesh and turns their organs to rot. If a model is slain, its unit must pass another Toughness test, or suffer an additional Wound with no armour or cover saves allowed. Repeat the process until a Toughness test is passed or the unit is destroyed. In the colour section of the book, page 74 showcases painted models of a Great Unclean One, a Herald of Nurgle, Epidemius, and a Daemon Prince of Nurgle. Page 78 then showcases Plaguebearers of Nurgle and a Beast of Nurgle. 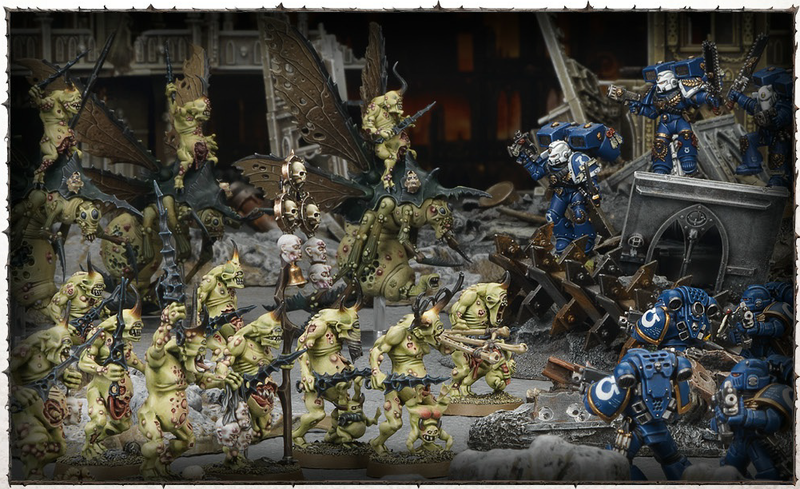 Finally, on page 83, there are photographs of Plague Drones and Nurglings. A chanting horde of Plaguebearers and Plague Drones falls upon its Space Marine foes.